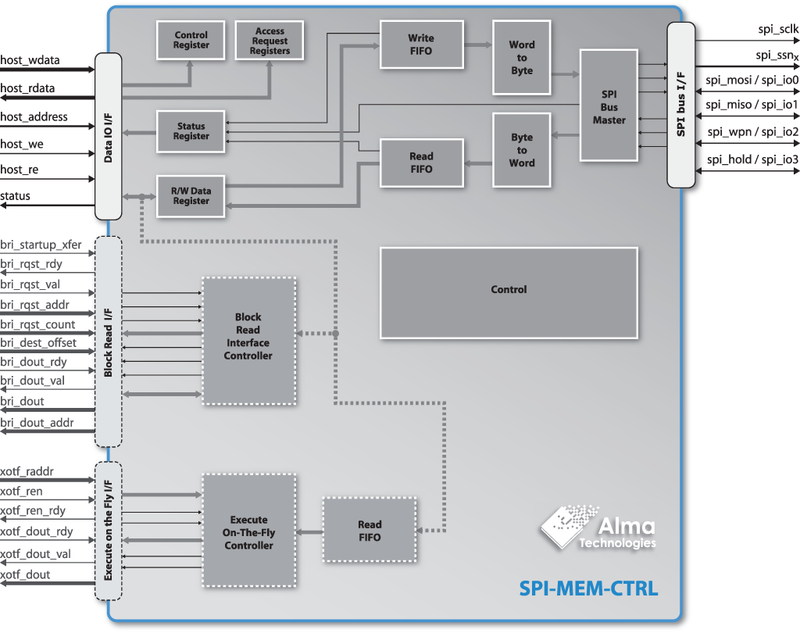 The Alma Technologies SPI-MEM-CTRL core is an advanced SPI serial NOR and serial NAND flash memory controller, supporting Single, Dual and Quad I/O SPI accesses and including Boot and Execute on-the-fly features. The SPI-MEM-CTRL core is designed to provide to a host a simple interface for controlling SPI Serial Flash Memories. The core is highly flexible and can be configured before synthesis or programmed during runtime to support a large number of SPI Serial Flash memories, even less standard ones. A host can interface to the Serial Flash in a number of ways. Transferring data from the Flash memory to the host is done with minimum effort with a Block Read Interface, which uses a DMA mechanism to transfer a block of data to the host�s memory space. Alternatively, the host can introduce a read request using the core�s programmable registers. Then the core serves this request and sends the necessary instructions to the Serial Flash device. An additional RAM like interface which permits on-the-fly code execution is also available. 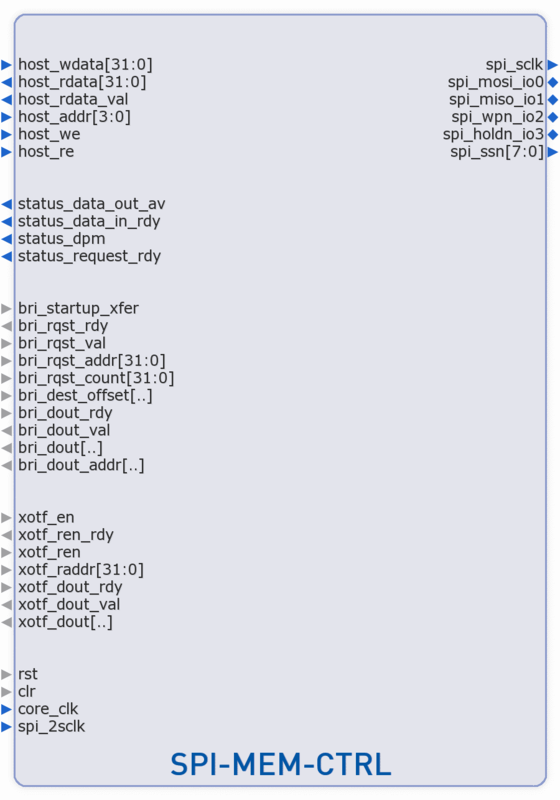 The SPI-MEM-CTRL controller has been rigorously verified. A complete verification environment that helps designers verify the functionality and compliance of the core, including additional aids for system-level simulation, are available.